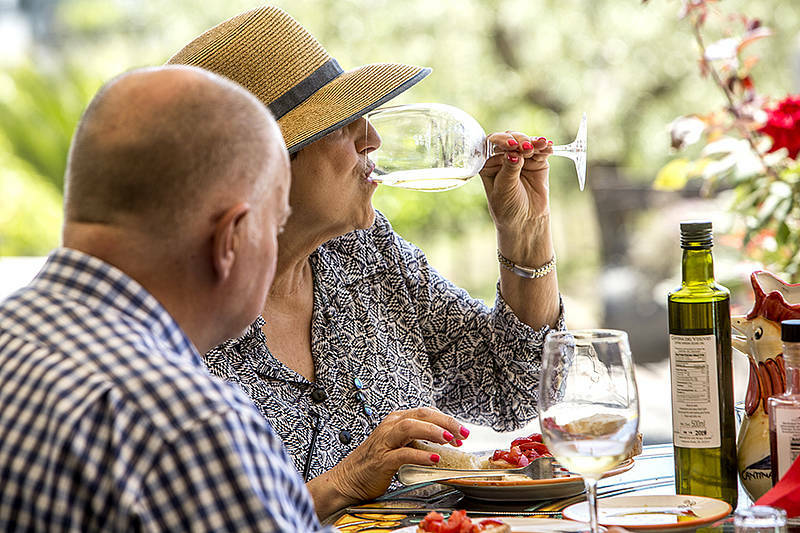 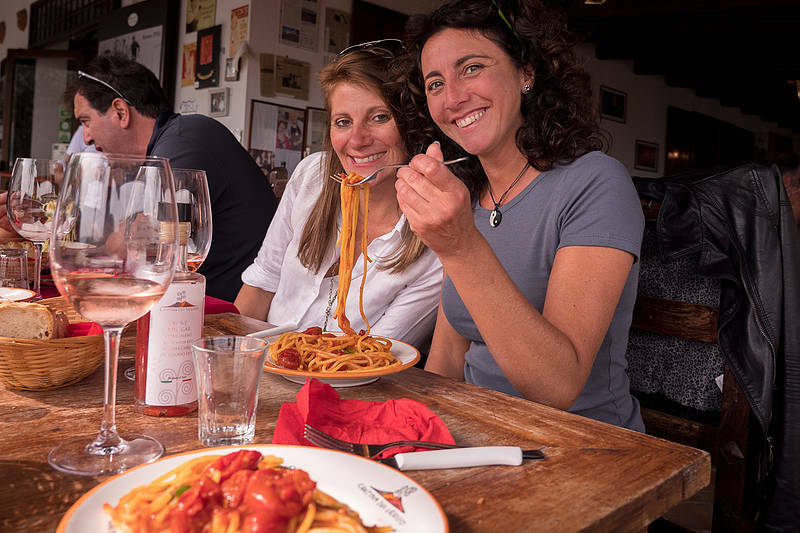 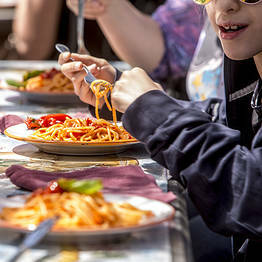 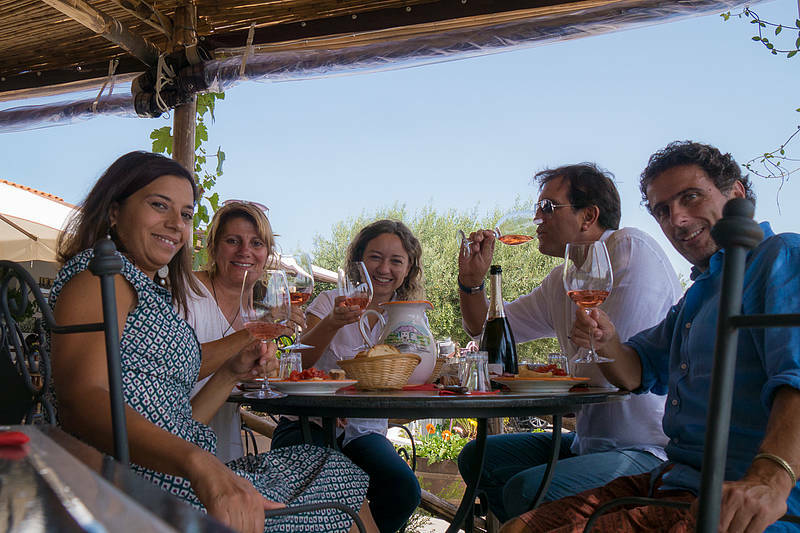 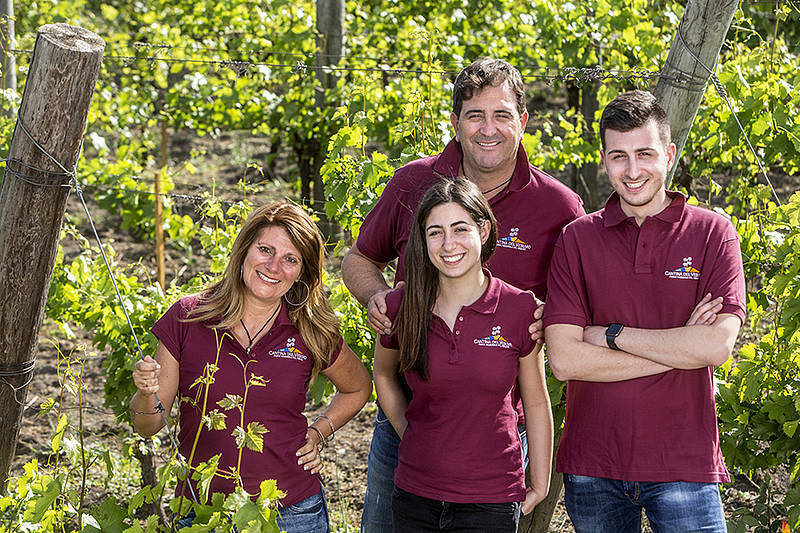 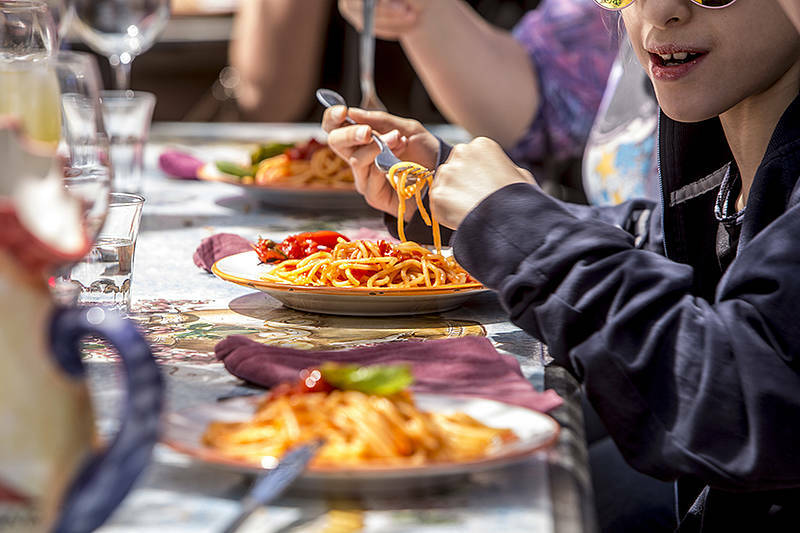 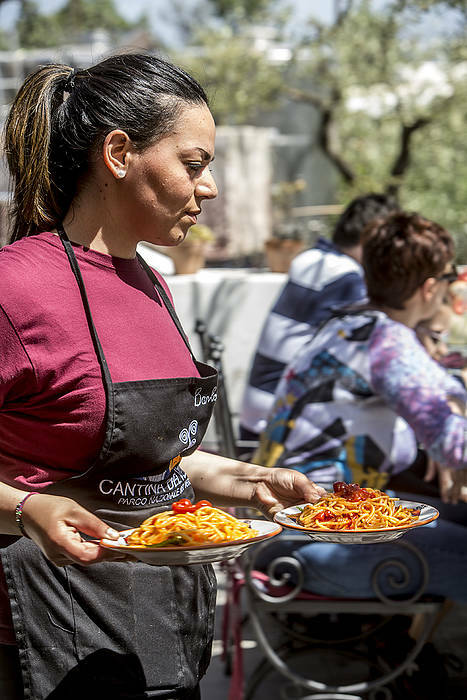 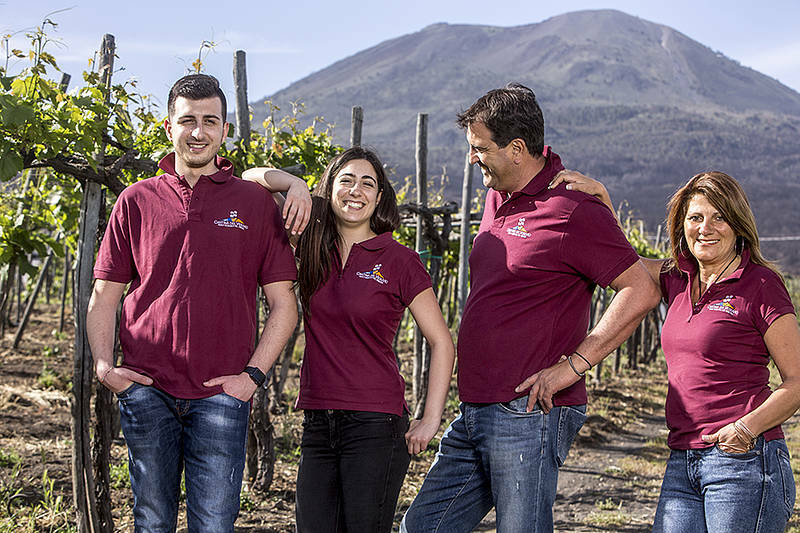 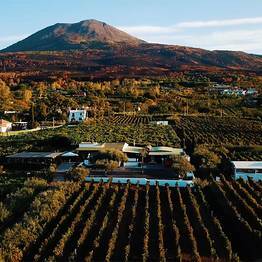 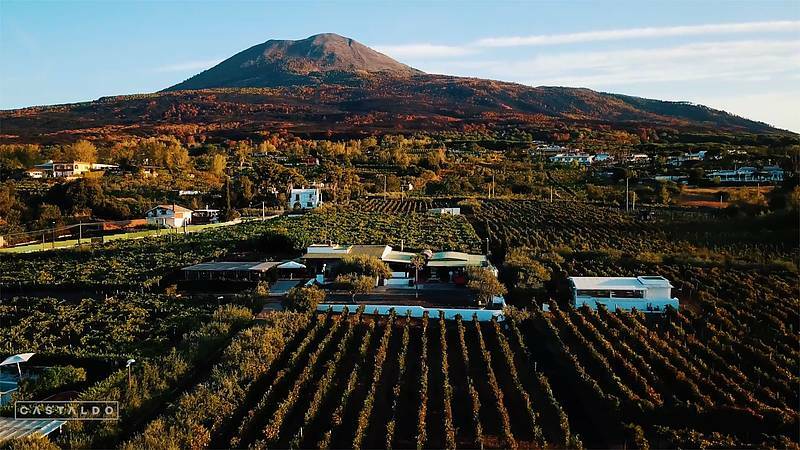 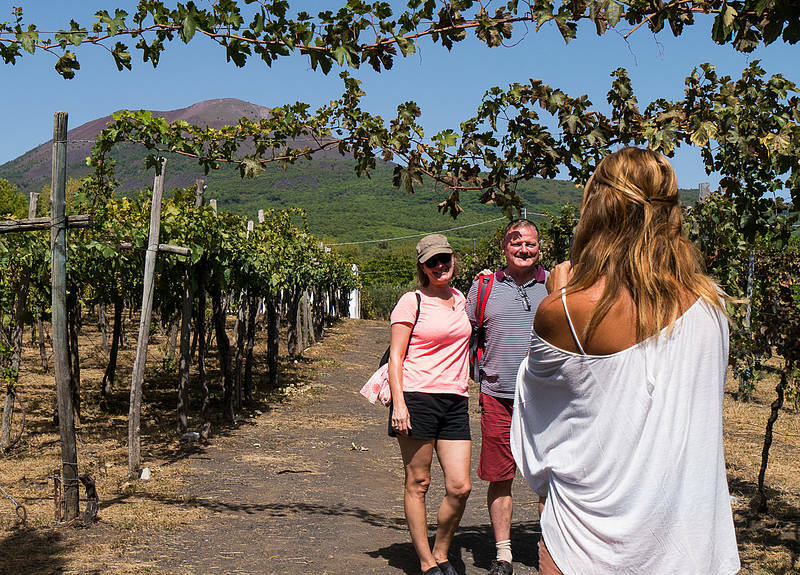 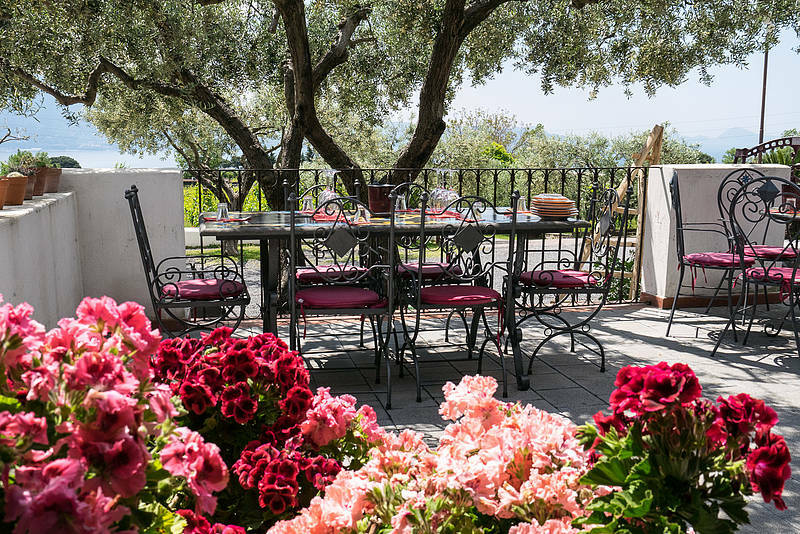 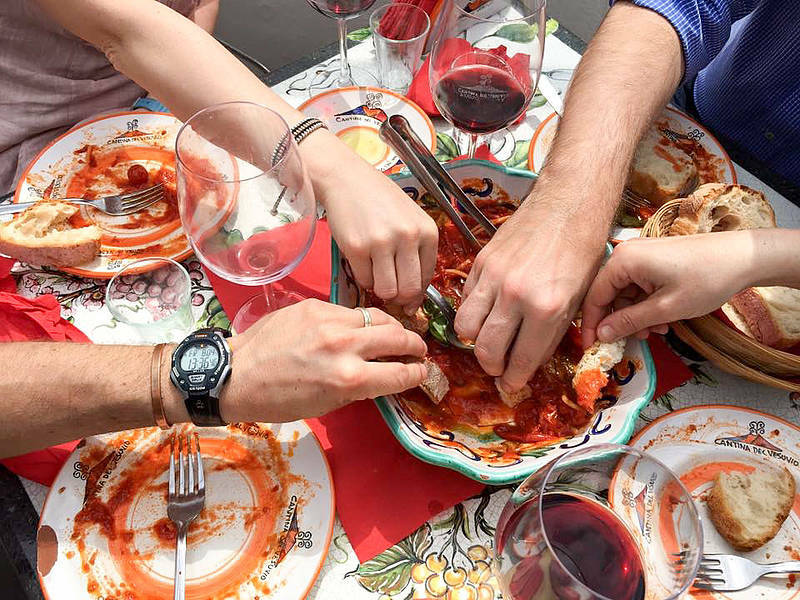 Relax over lunch on the slopes of Mount Vesuvius and enjoy discovering tasty local dishes paired with organic Lacryma Christi DOP del Vesuvio wines, along with a guided tour through the winery and vineyards. 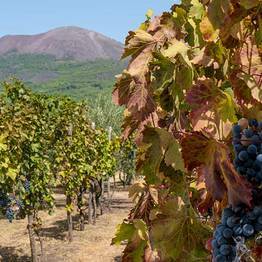 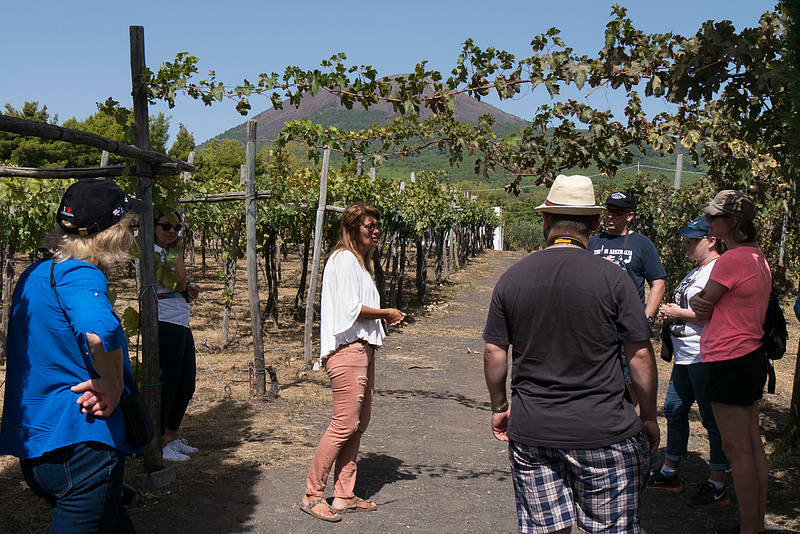 Visit our vineyards and winery on the slopes of Mount Vesuvius with a guided walk and explanation of the production of Lacryma Christi. 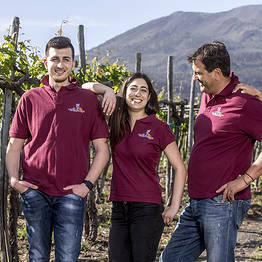 - Lacryma Christi DOP del Vesuvio Bianco (100% Caprettone), Lacryma Christi DOP del Vesuvio Rosato (100% Piedirosso), and Lacryma Christi DOP del Vesuvio Rosso (100% Piedirosso) and antipasto with local specialties: salami, provolone cheese, casatiello, bruschetta with Piennolo tomatoes on wood-baked bread. 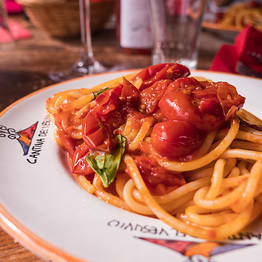 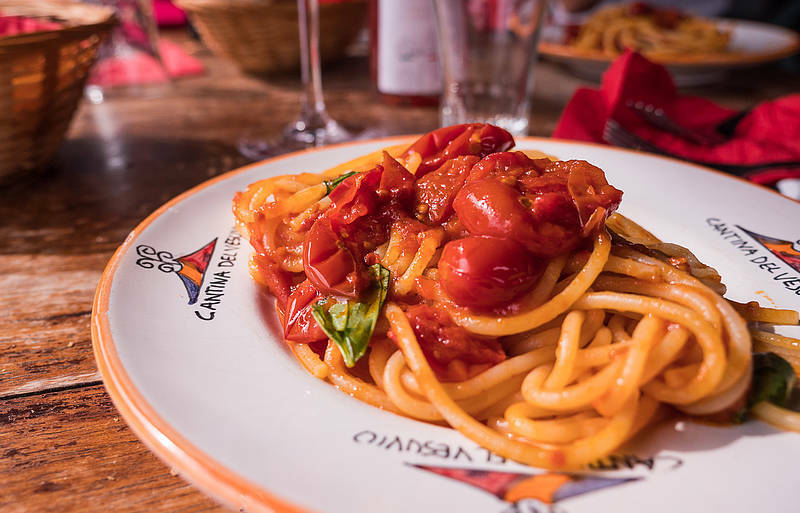 - Lacryma Christi Riserva (80% Piedirosso and 20% Aglianico aged in French oak barrels between 18 and i 24 months) and spaghetti with Piennolo tomato and basil sauce. 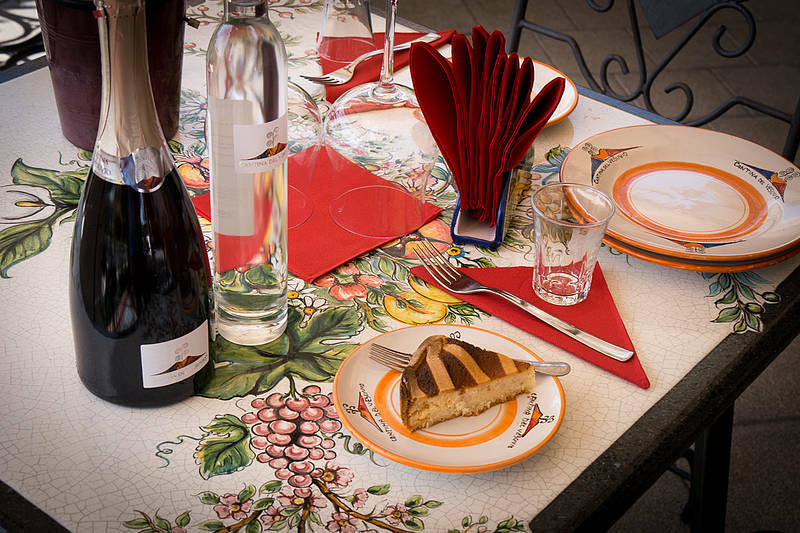 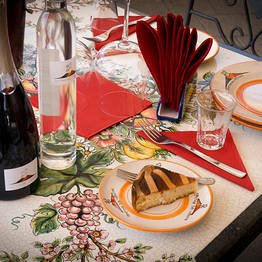 - Capafresca Spumante Rosato (100% Aglianico) and White Passito IGT and pastiera napoletana made with ricotta. 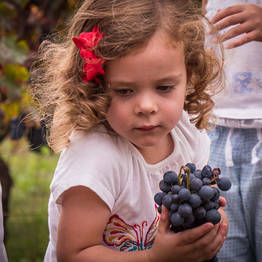 grain, and candied fruit. 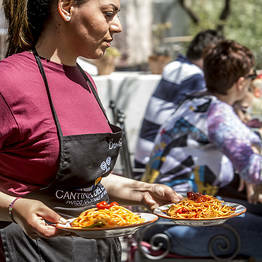 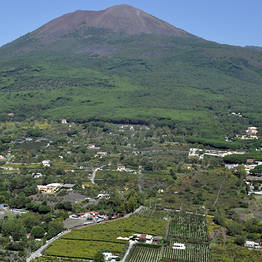 Cantina del Vesuvio is located in Trecase, halfway between Pompeii and the Park of Mount Vesuvio. 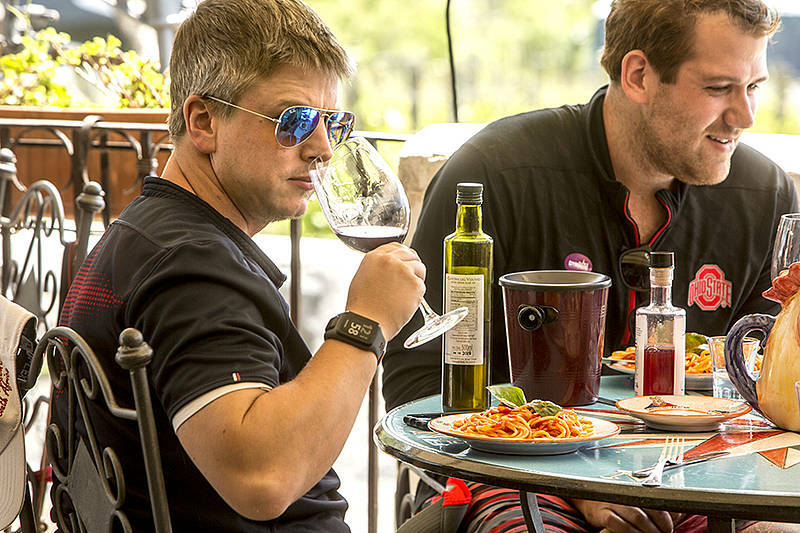 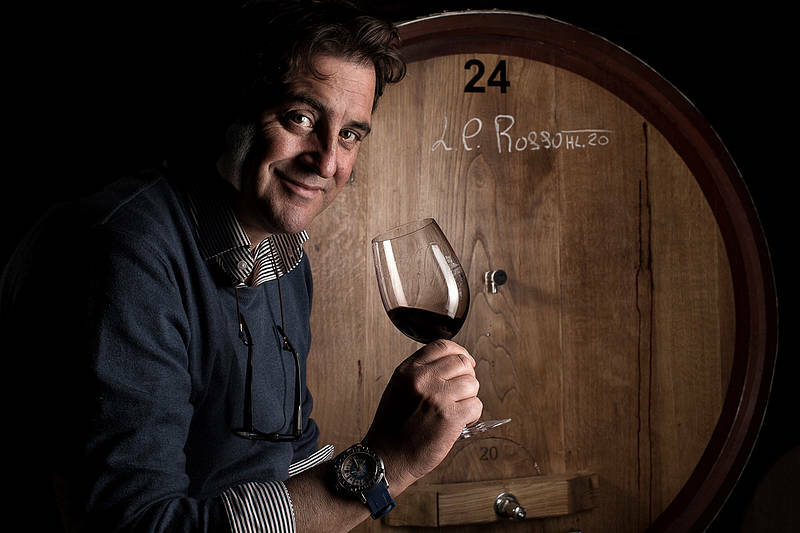 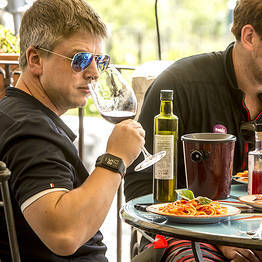 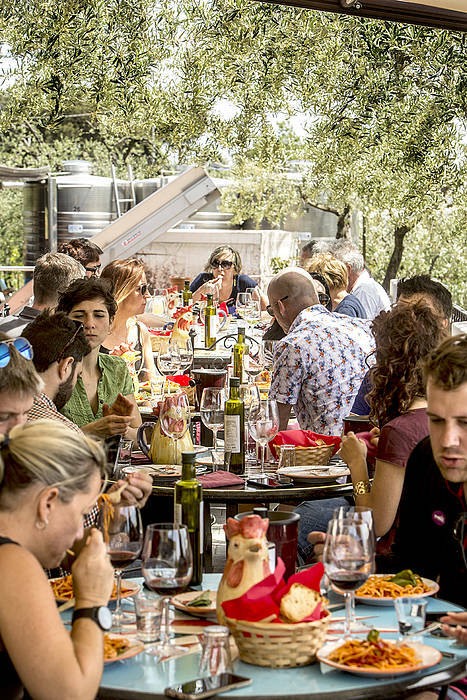 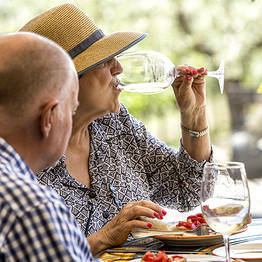 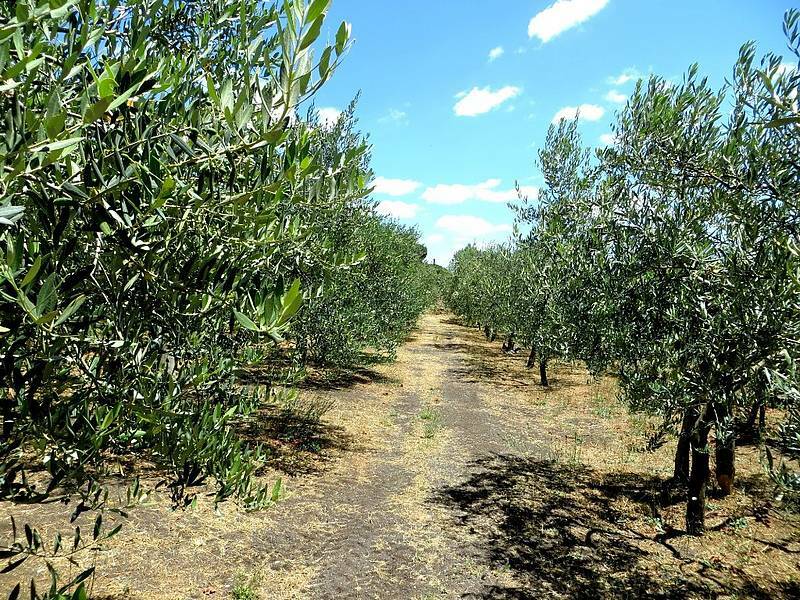 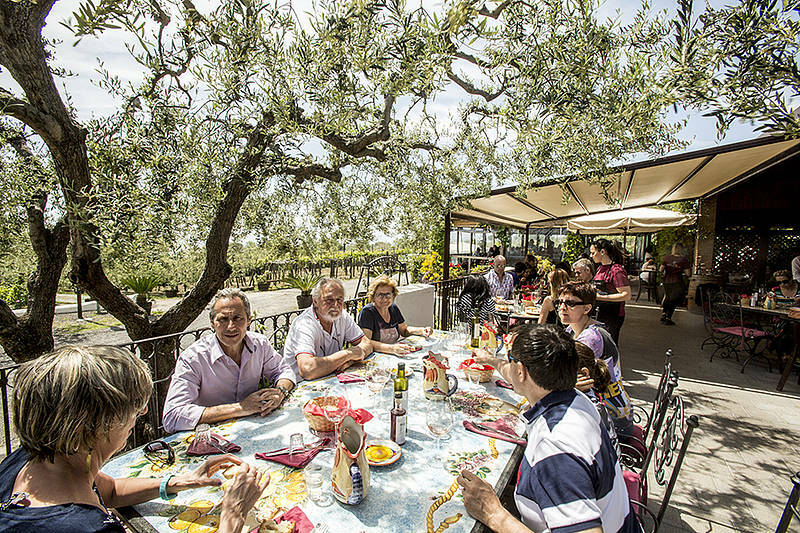 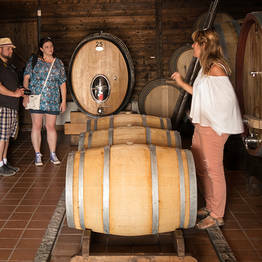 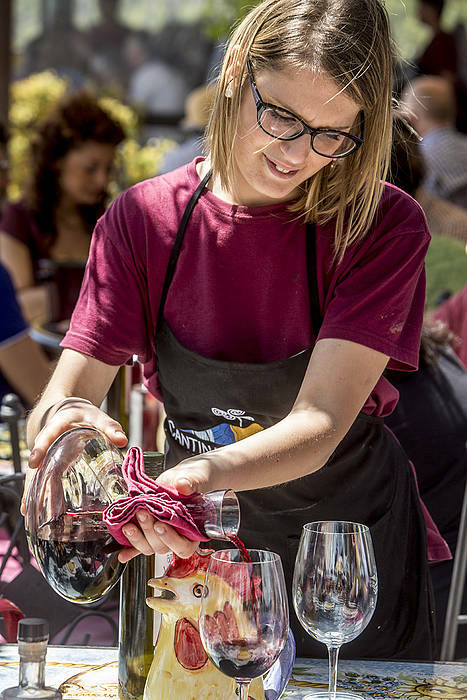 The winery's tasting lunch is the perfect break between visiting these two nearby sights, and there is a free shuttle to and from the Circumvesuviana Torre Annunziata Oplonti station, near the Villa of Poppea. 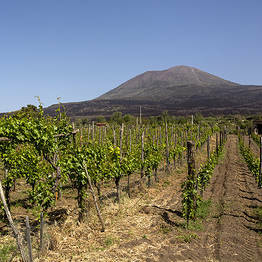 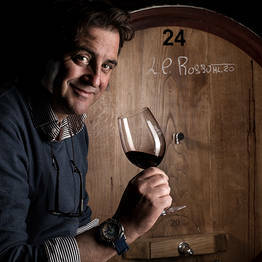 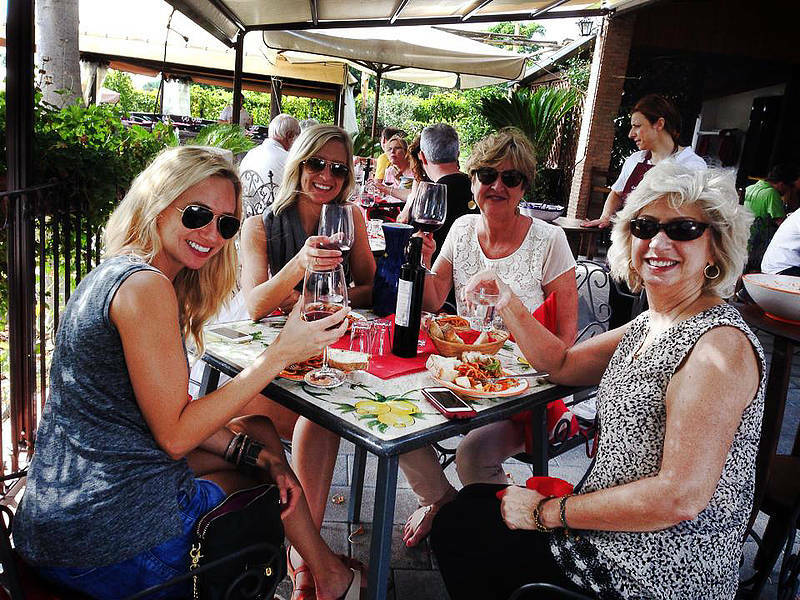 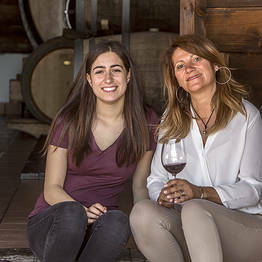 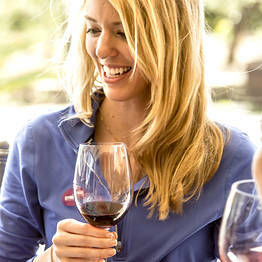 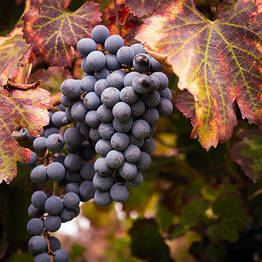 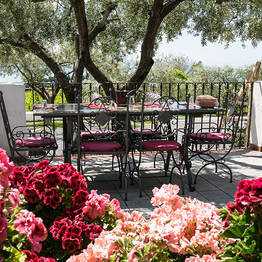 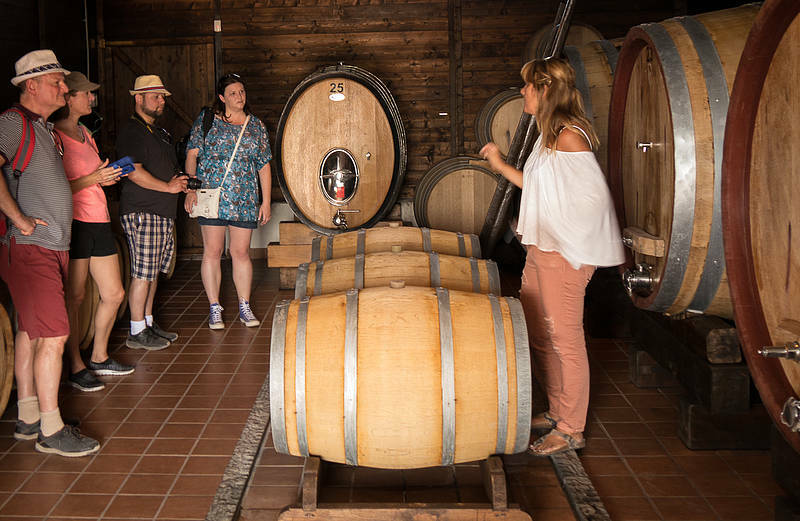 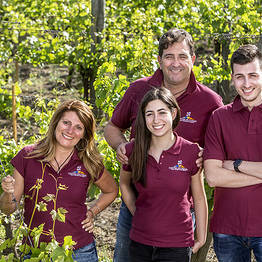 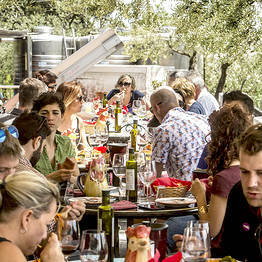 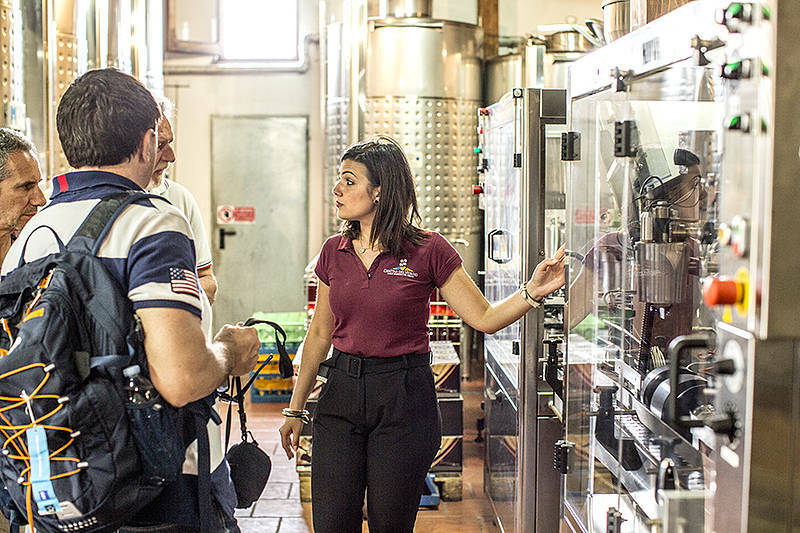 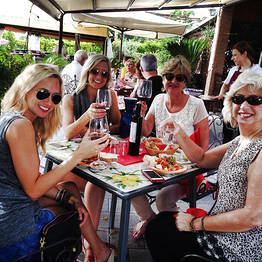 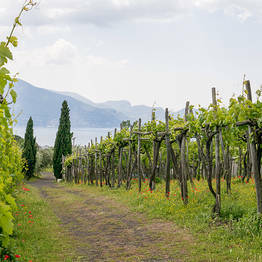 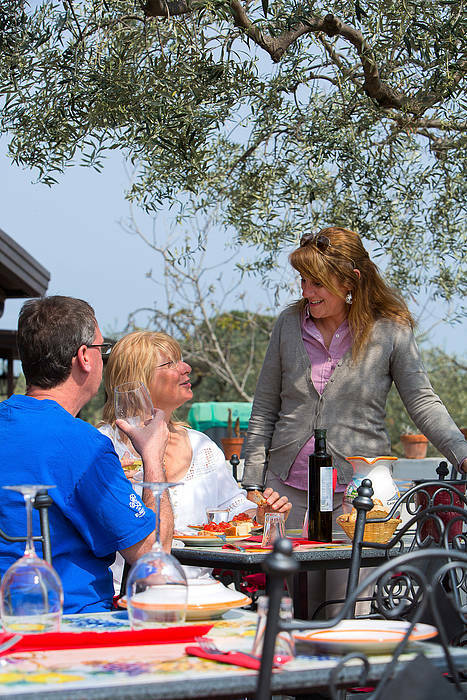 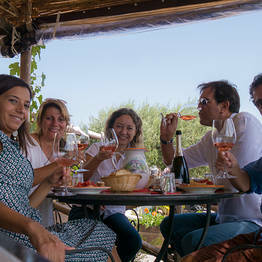 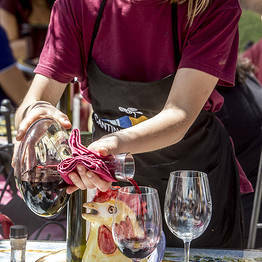 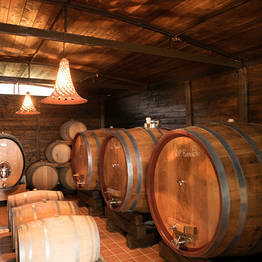 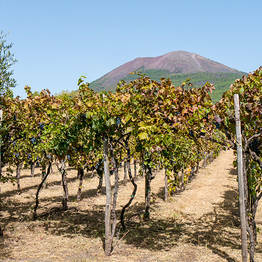 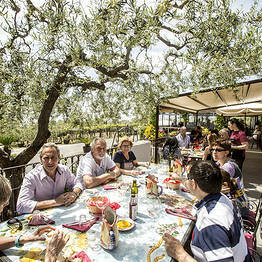 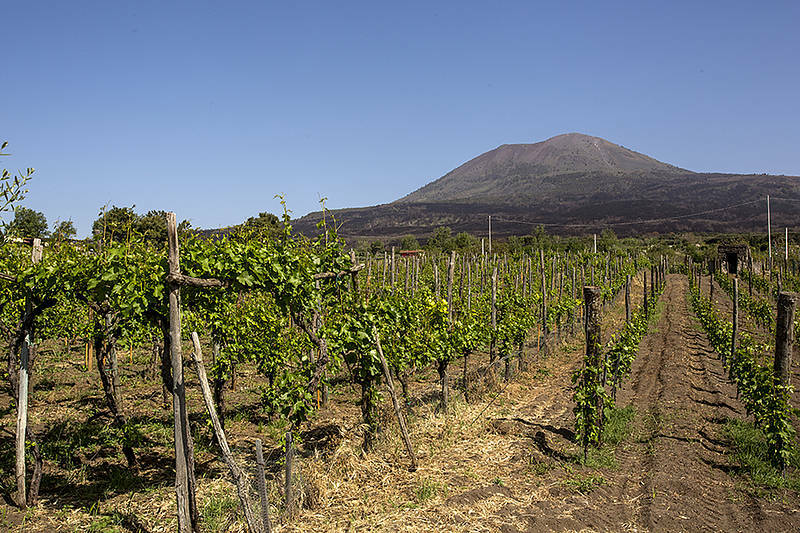 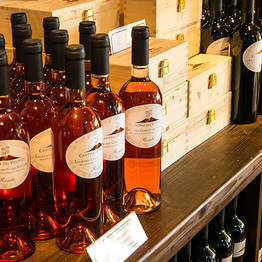 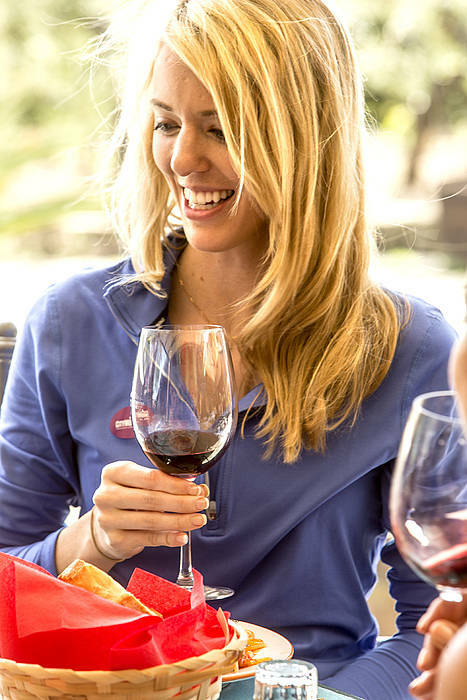 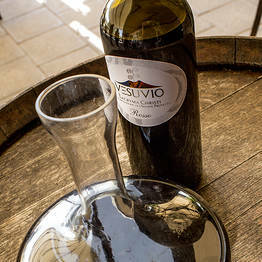 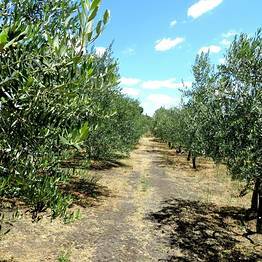 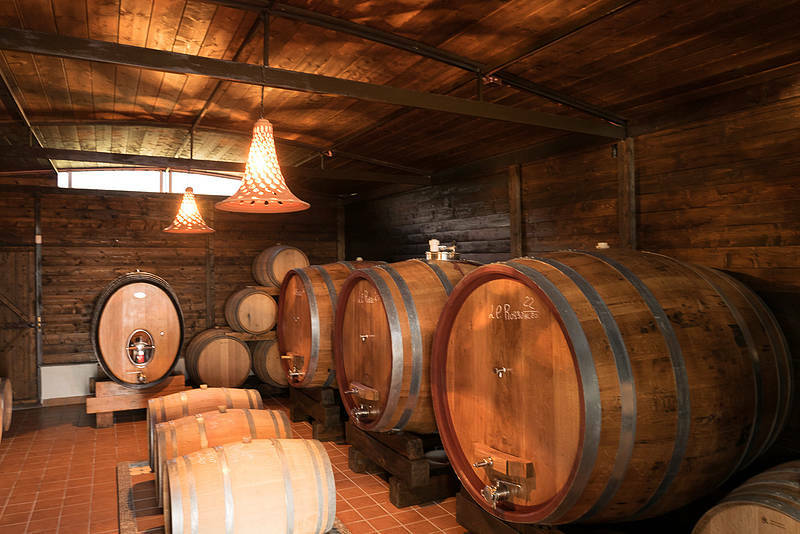 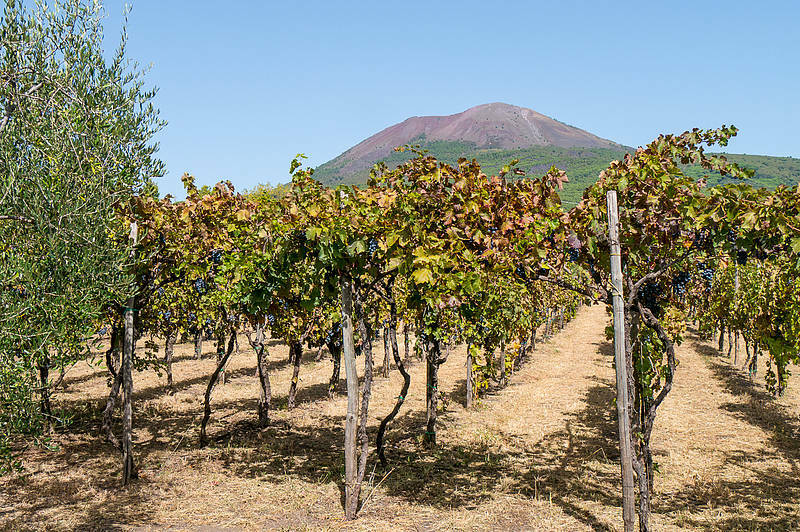 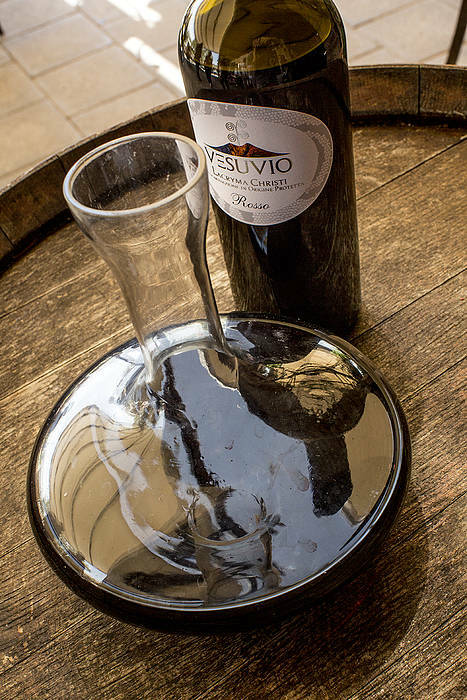 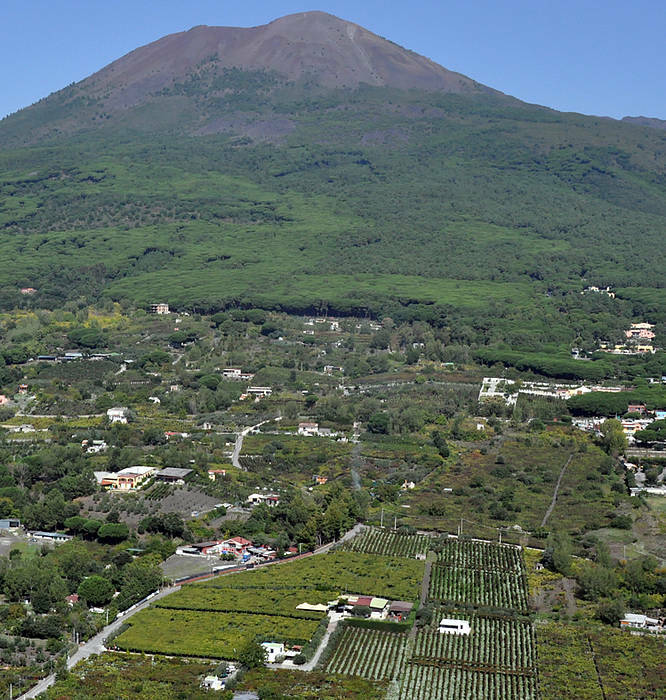 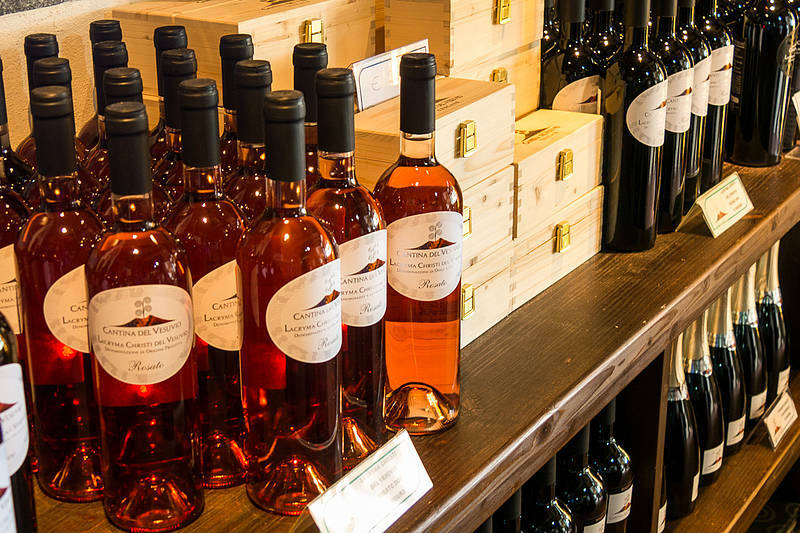 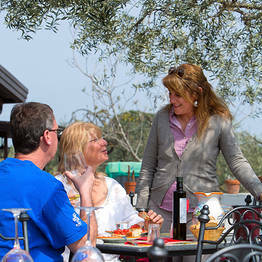 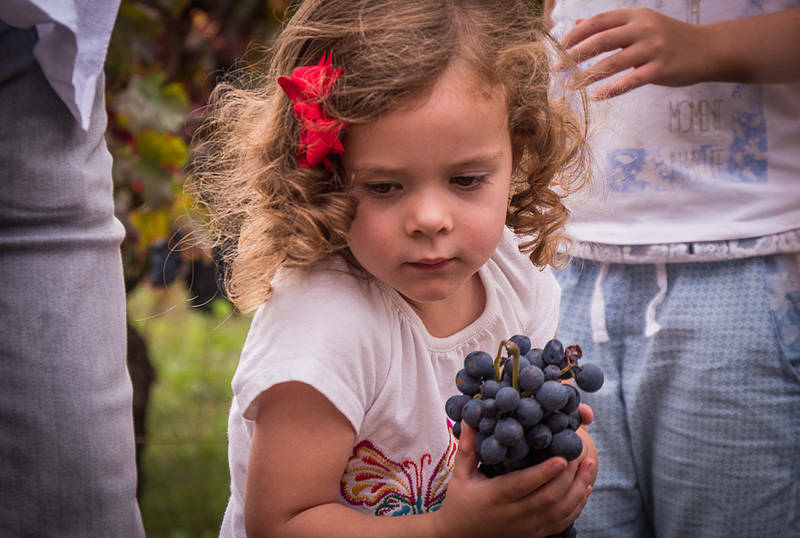 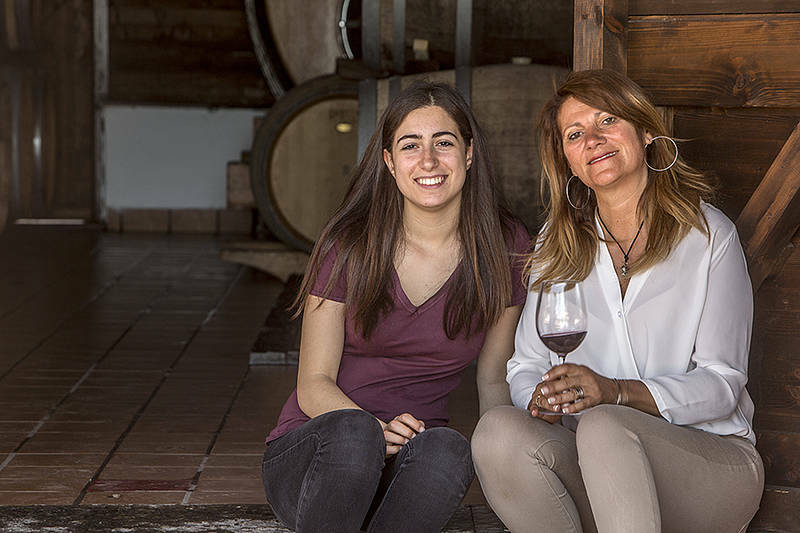 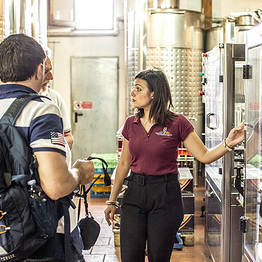 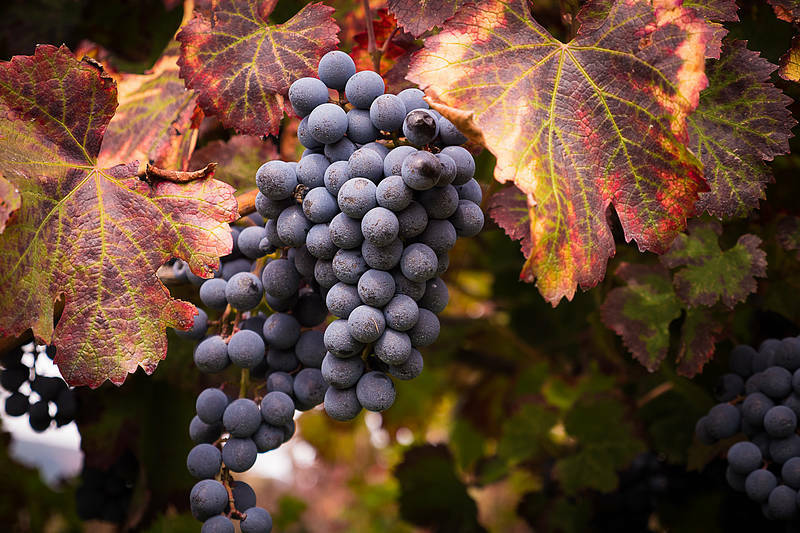 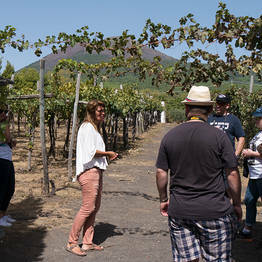 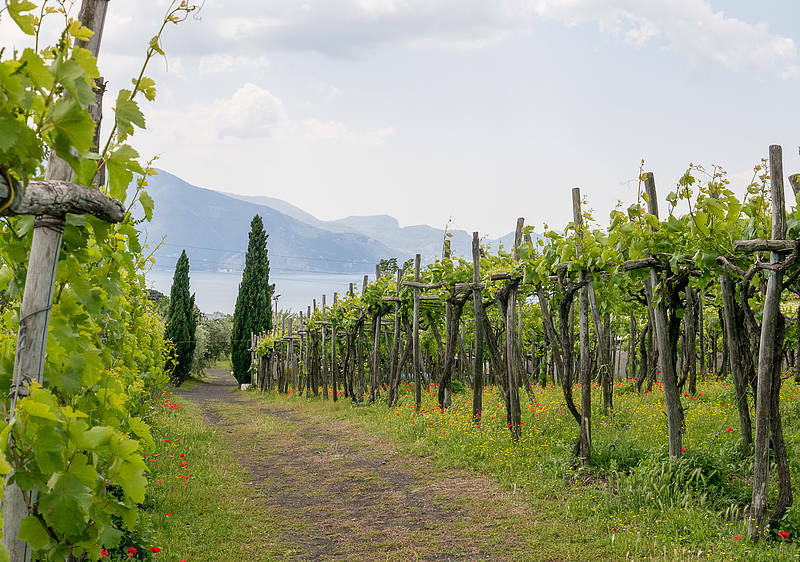 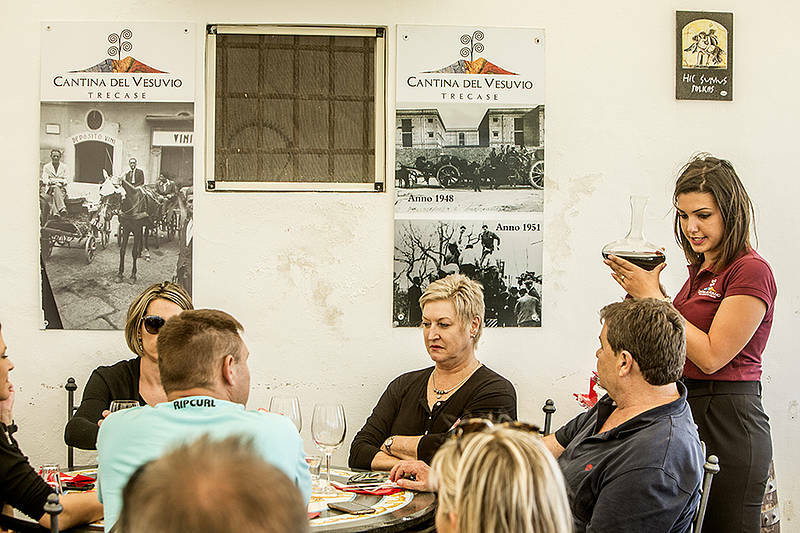 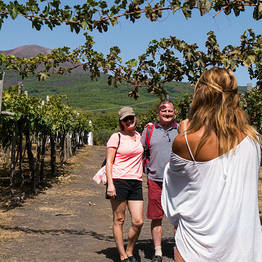 Wines made at Cantina del Vesuvio are organic and sold exclusively through the winery.